Get some Magnetic Spirit in your wall shelves! Here’s one for the books – or the toys! 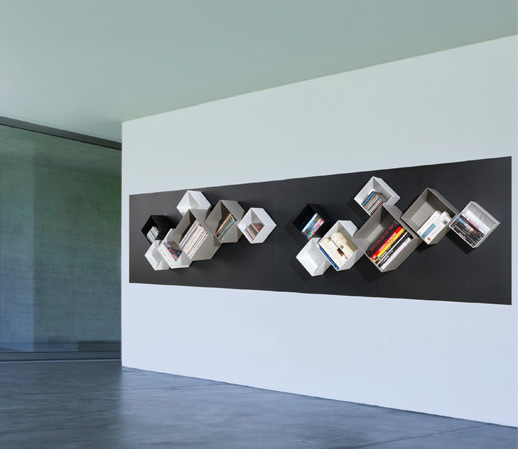 It’s a moveable magnetic shelving system that allows you to decide exactly how to arrange your shelving for maximum effect. But before we get too excited, I need to tell you that this idea isn’t actually in production yet. What you’re looking at is a system called Magnetic Spirit by French designer Benoit Bayol. It hasn’t been designed with kids’ rooms in mind, but we think it’s the sort of idea that holds great potential for storing and displaying kids’ gear. In some ways it’s not unlike the Urbio, which we told you about last year, but with a more sophisticated feel and the ability to display as well as simply store. 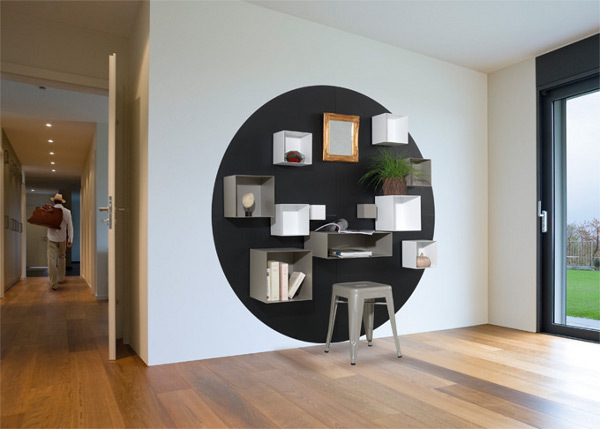 The system involves magnetic backing pieces (available in a number of different shapes and neutral colours) and then a large variety of shelving units which attach to those backing pieces using very strong magnets. You can have a look at the different options and pricing at Magnetic Spirit. What do you think? Is it something you could see working in a child’s room?